Click the artist’s names or images below to see more of their work! New season is just around the corner. 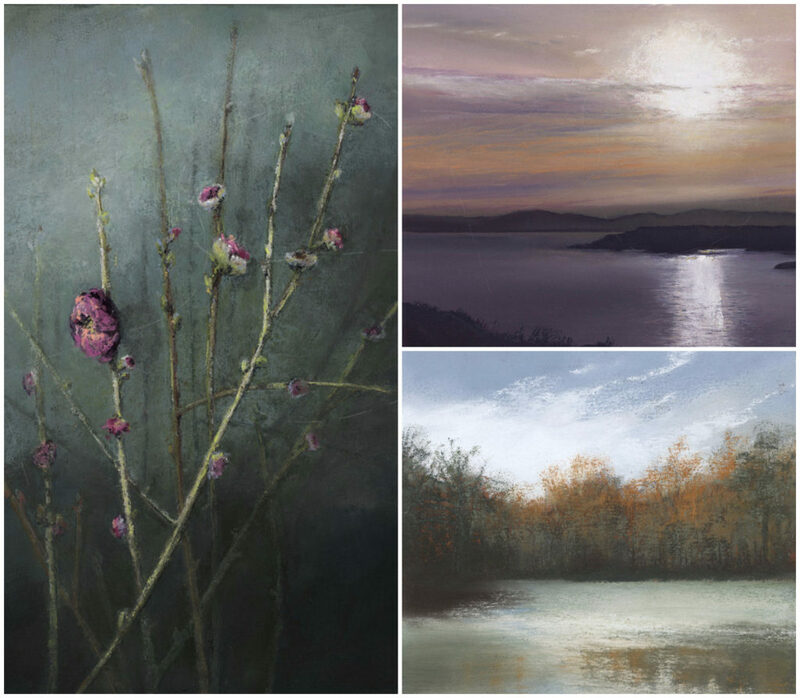 If you can’t wait to see them in person… we have the catalog at the gallery to tempt you! This entry was posted in art gallery orange county, art gallery tustin, ayala bar, chemers gallery, chemers gallery tustin, children's book illustration, contemporary art, encaustic, fashion, jewelry, local art, local artist, local artwork, new art, oil painting, orange county art, orange county artists, Uncategorized and tagged art gallery, art gallery orange county, art gallery tustin, artisan jewelry, ayala bar, bill bahret, ceramics, chemers gallery, chemers gallery orange county, chemers gallery tustin, contemporary, contemporary art, contemporary jewelry, deanna deeds, elizabeth nadler, handmade jewelry, jaime weber, janet seward, jewelry, joanna craft, karen boelts, kristina swarner, lisa mertins, local art, local artist, marie tippets, mary hammond, merry wennerberg, michelene berkey, mixed media, monique selwitz, nancy goldman, new art, new craft, new jewelry, oil painting, scarf, silver, silver jewelry, textile, tom borusky, wood on January 7, 2019 by Chemers. With 21 artisans confirmed so far, you won’t want to miss this fantastic lineup! 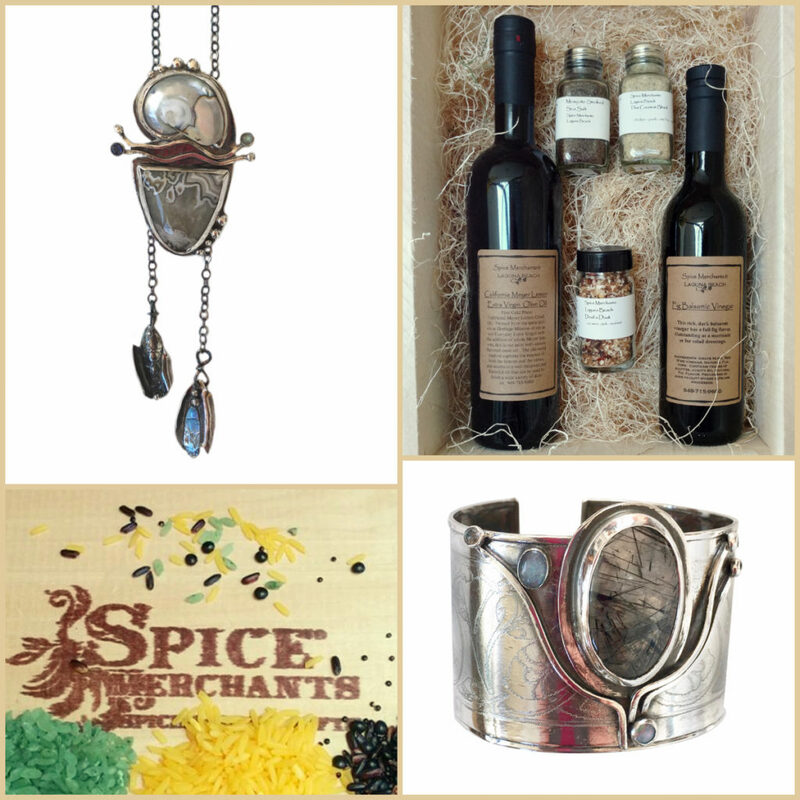 Epicurean Treats Book Signing and more! 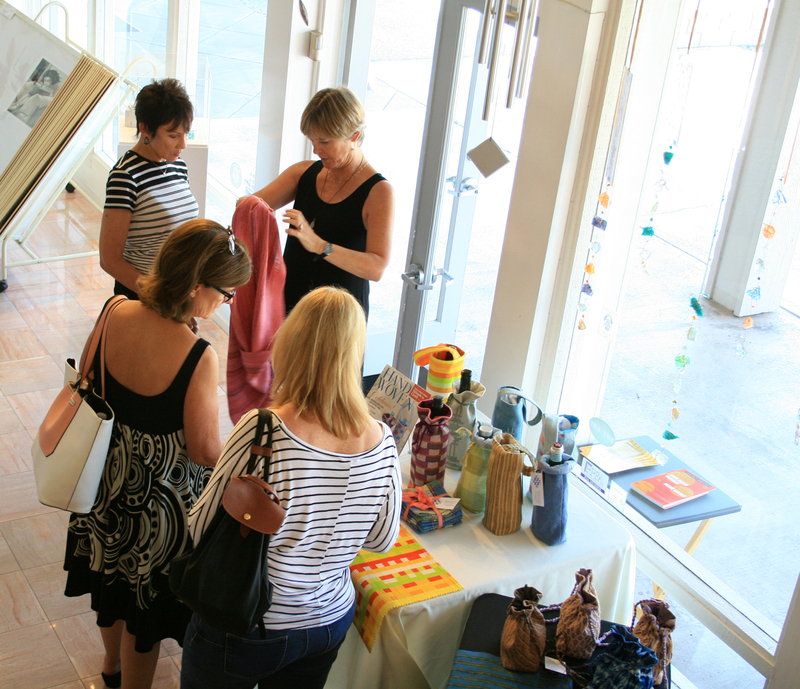 Introducing the 21 talented artisans joining our Faire and the many reasons you won’t want to miss the big event! 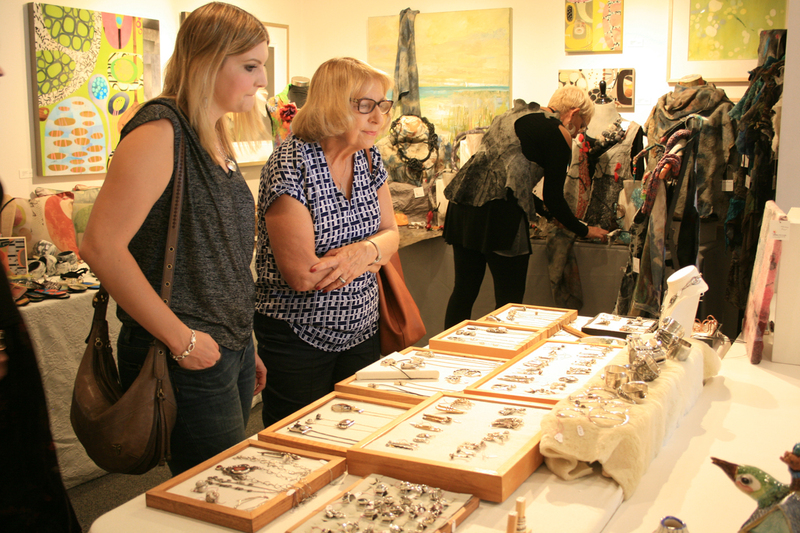 Mark your calendars now, our 2-day Holiday Artisan Faire will be here before you know it! 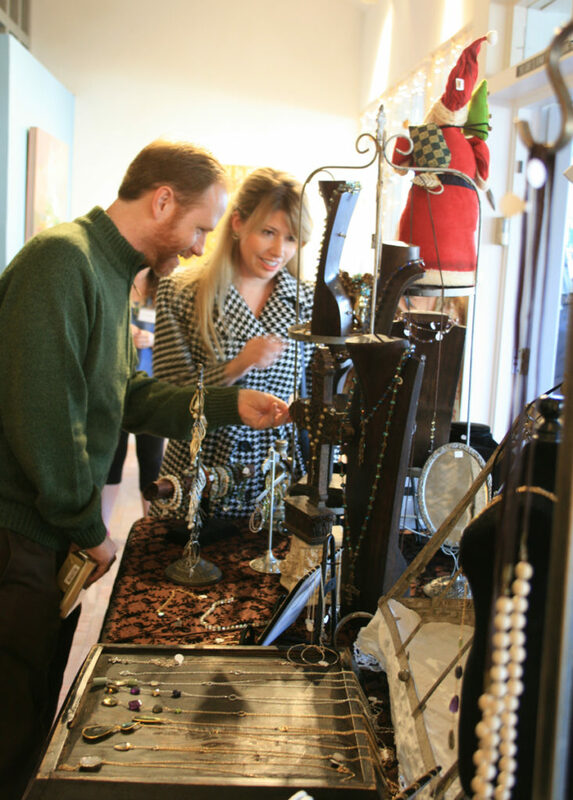 Local jewelry designer, Merry Wennerberg, fashions repurposed masterpieces made from vintage buttons, Bakelite, resin and even vintage game pieces. Her earrings, necklaces, bracelets and brooches are completely out of this world fun! 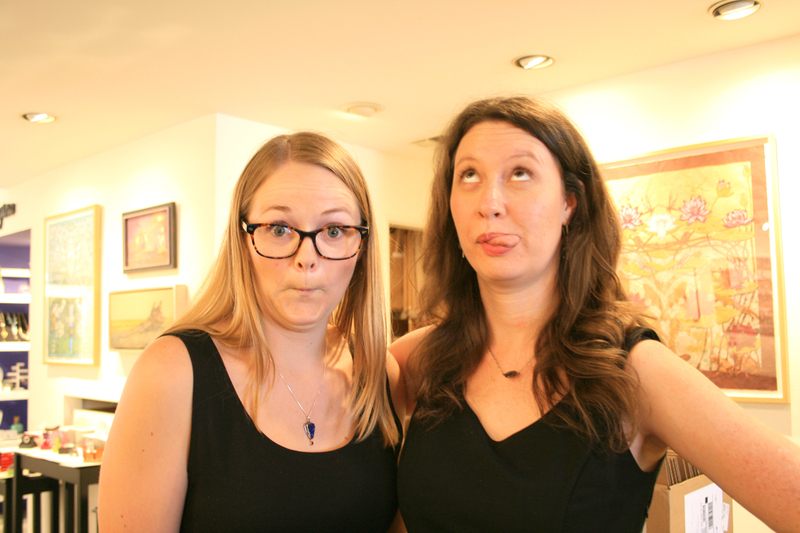 You might think that the creative process would keep Merry out of trouble…wrong! She just can’t resist the urge when she finds unique baubles for her jewelry designs. Merry credits Alex Uhl of A Whale of a Tale children’s bookstore for encouraging her to spread her creative wings and sell her amazing creations 21 years ago. You’ve heard correctly, Robert Held is flying in all the way from British Colombia, Canada, to spend the weekend with YOU! Robert no longer does traveling shows but he’s making a special exception for all of you marvelous fans! You already love his heart paperweights, now fall in love with his holiday ornaments, blown glass vases and more. 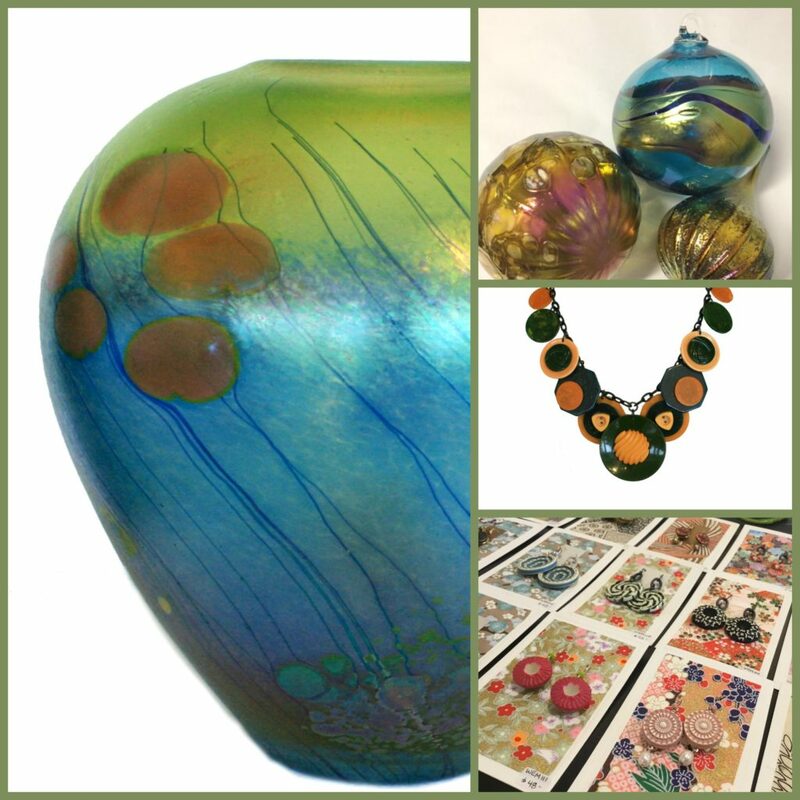 Luminous in color, translucent or opaque, Robert’s art glass is elegant in any form or hue. We’re thrilled that Naomi Campos of Yed Omi jewelry is finally able to join in the festivities at our Holiday Artisan Faire! Her delicate beadwork whispers of flirtation and modern romance. Rose gold, sterling and yellow gold pair with gemstones and chain for a match made in heaven. Naomi is traveling all the way from Portland, Oregon to share her handcrafted earrings, necklaces and bracelets with you. 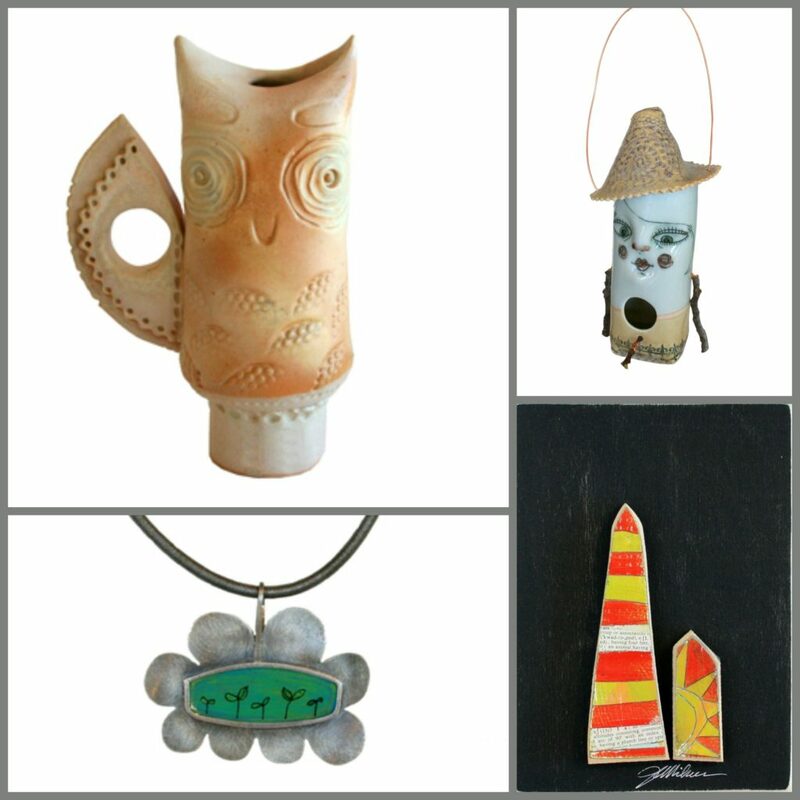 Playful, artful Maria Counts, whose creativity is endless… Joining us Saturday ONLY, Maria’s ceramics are only limited by her boundless & quirky imagination! 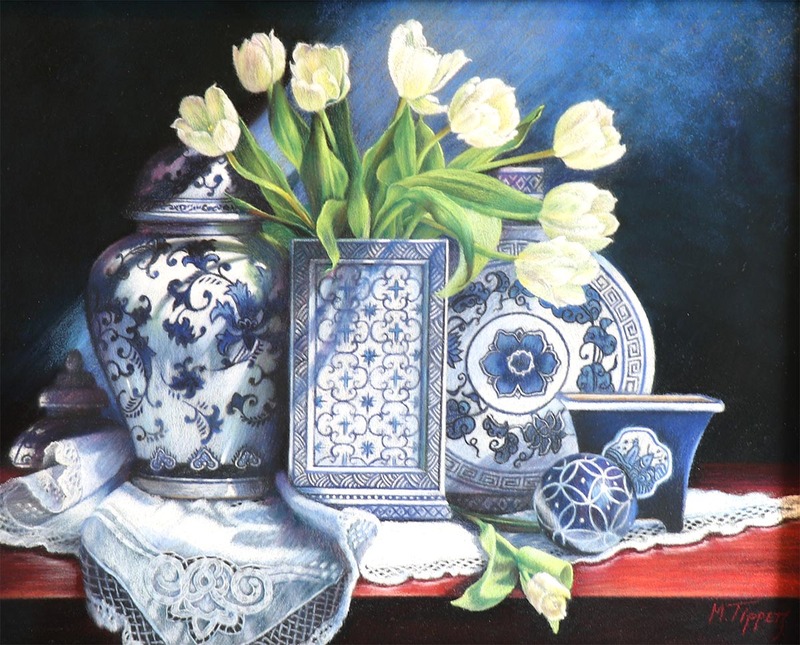 Brightly glazed teapots, vases, clocks, mugs, wall plaques and sculptures are just the tip of the iceberg of what Maria is showcasing. Pick up 1 or 10 of her gift tags – you can also hang them on your tree or wear as a necklace. From functional to decorative, humorous to refined and everything in between, you won’t want to miss Maria! 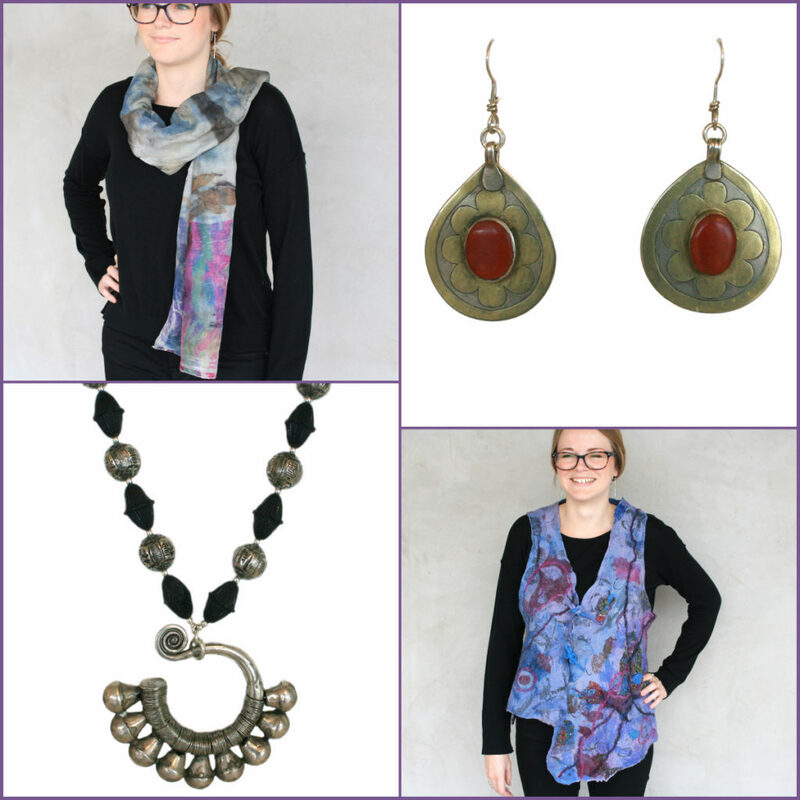 Avant-garde fashion meets wool and silk in Beth Marx‘s seamless nuno felted scarves, shawls, vests and more! 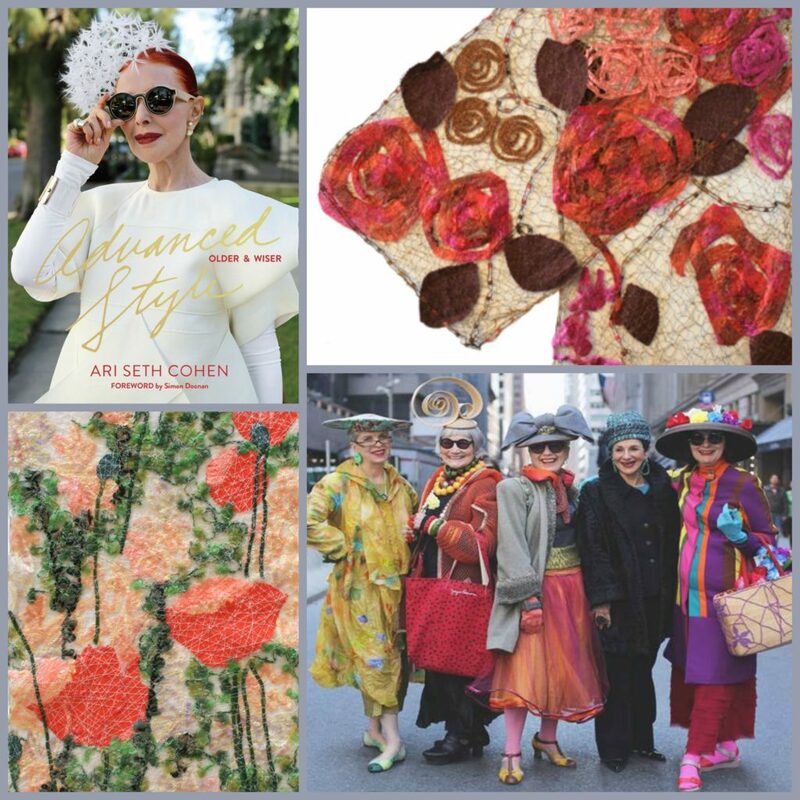 Her one-of-a-kind fiber creations can be worn upside down, right side up, inside out or round about – the possibilities are endless! Let Beth show you all the ingenious ways to don the wearable that is perfect for you. 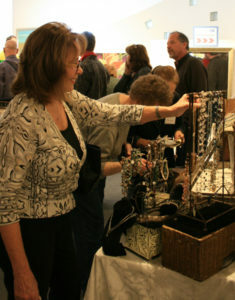 Beth hails from Long Beach and is attending our Holiday Artisan Faire for the first time this year. 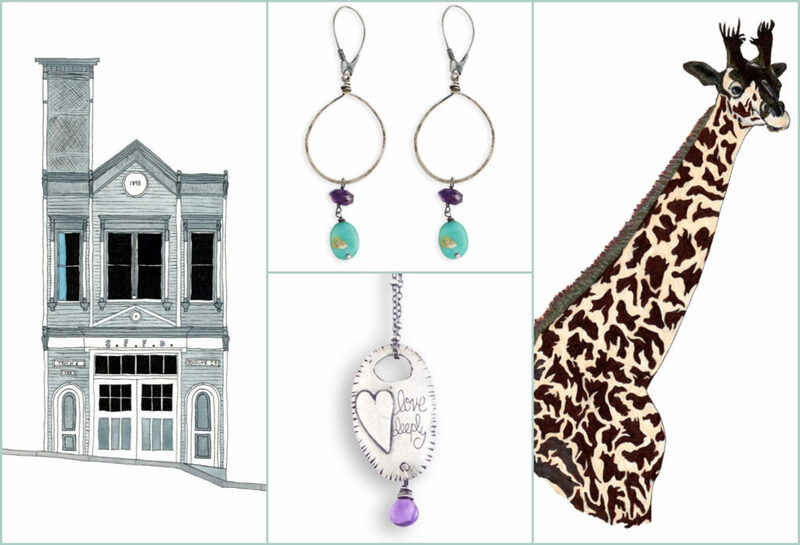 You’ll adore her inventive fashions in a bevy of rich color palettes or subtle tones. 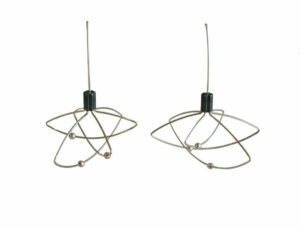 If contemporary, geometric jewelry is your game then Joanna Craft is the name! Mixed metals of sterling, copper and brass form everything from uncomplicated everyday earrings and pendants to larger statement pieces. Throw in a few raw gemstones here and brightly-colored enameling there and you’ve got yourself a piece that is a true Joanna original! Although she’s only able to stay on Saturday, she’ll have a selection ready for your perusal on Sunday, too! 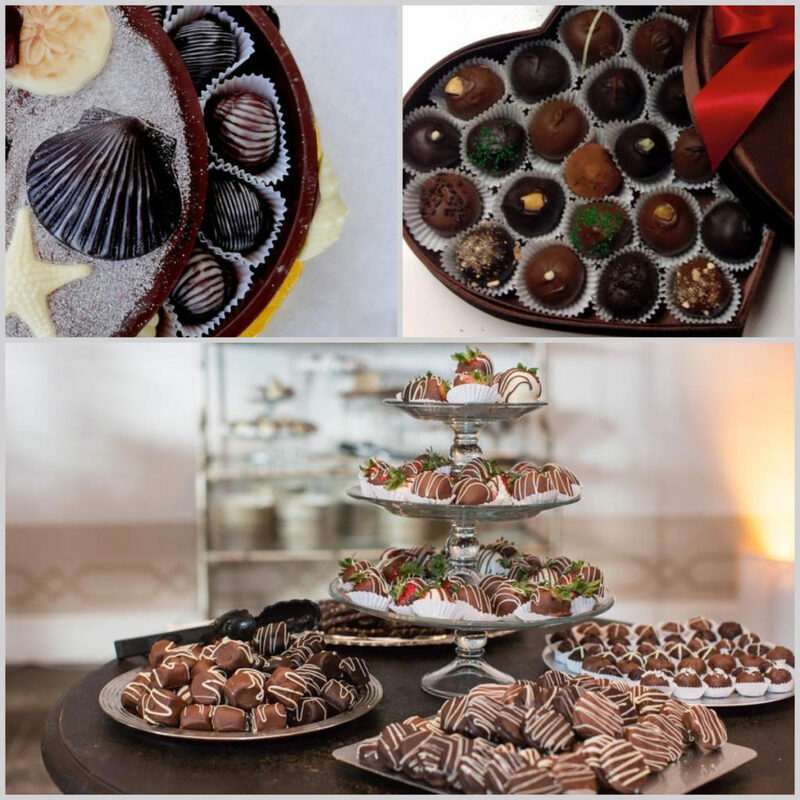 Get ready to let your taste buds soar on a cloud of pure chocolately bliss with Luisa Chocolatiere! 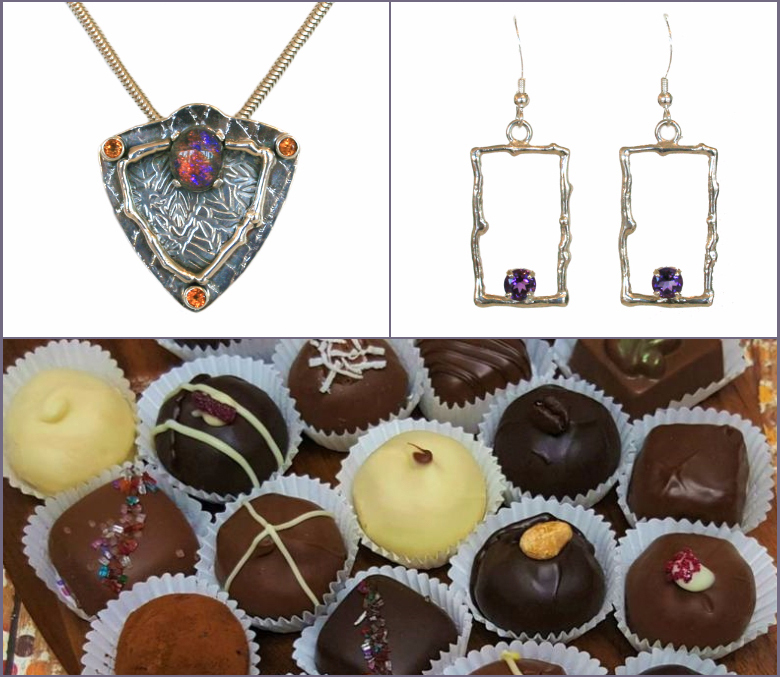 Back for a third year, Luisa’s handcrafted chocolate is luscious and luxurious. Lessons learned from Europe’s master chocolatiers reach perfection in Luisa’s solid chocolates, truffles, almond clusters, toffees and more. Be sure to check out her Christmas and Hanukkah shapes for all of your holiday parties! 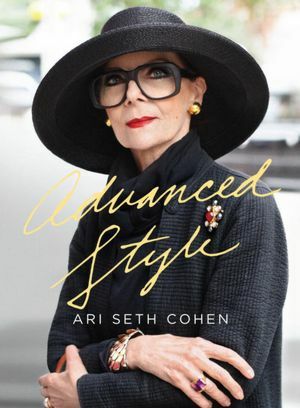 Welcoming Ari Seth Cohen, photographer and documentary filmmaker of Advanced Style and Advanced Style: Older and Wiser to our Holiday Artisan Faire! Join Ari for special book signings of his popular photo documentary books at Chemers Gallery Saturday, December 3 and Sunday, December 4. As an added bonus, some of his Fashionable Ladies will be joining us on the Saturday for a lively panel discussion at 1:00pm. Don’t miss out! Pre-order your style bibles at Chemers Gallery before November 19th. 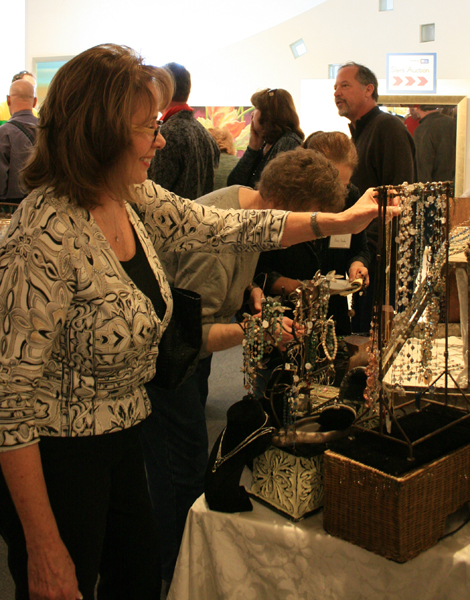 Fiber artistry comes to life in Mary Hammond’s capable hands. Using fabric, ribbon and thread, Mary crafts scarves, table runners and wall hangings in every color of the rainbow. She creates a traditional look with contemporary flair. With so many vibrant hues to choose from, there’s sure to be something for every season. 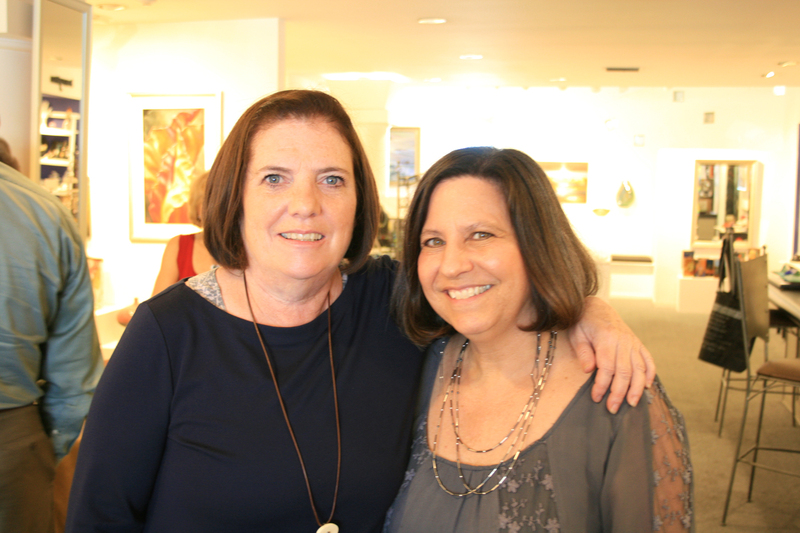 Mary is traveling from Santa Cruz to share her latest textile creations with YOU! 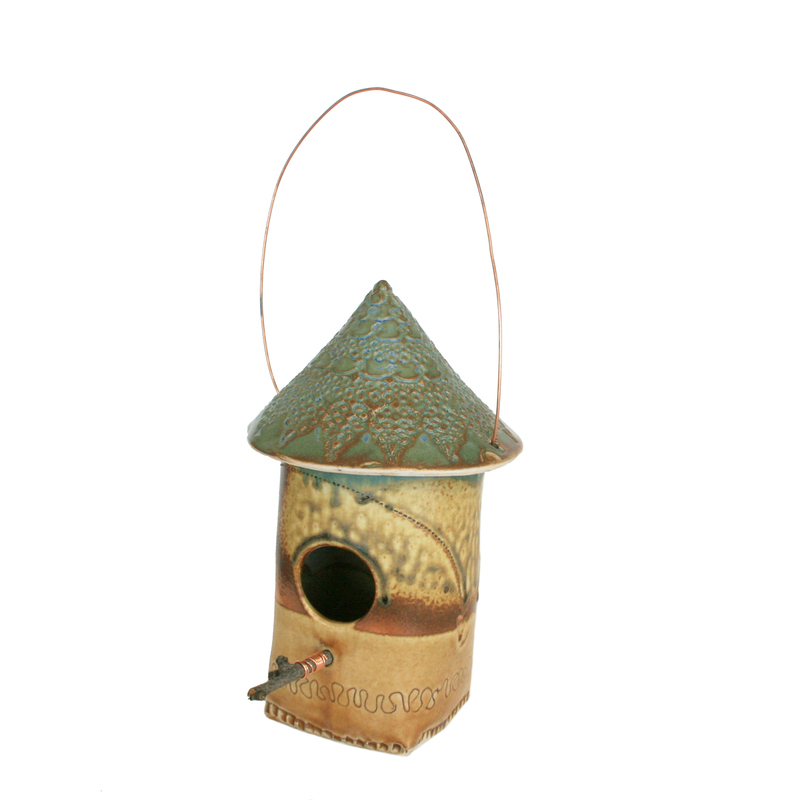 Birdhouses, cups and boxes, oh my! 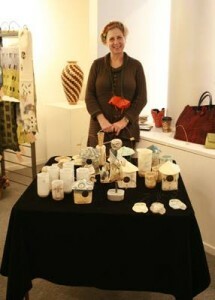 The lovely Lisa Mertins is joining our Holiday Artisan Faire and bringing her array of porcelain clay creations. 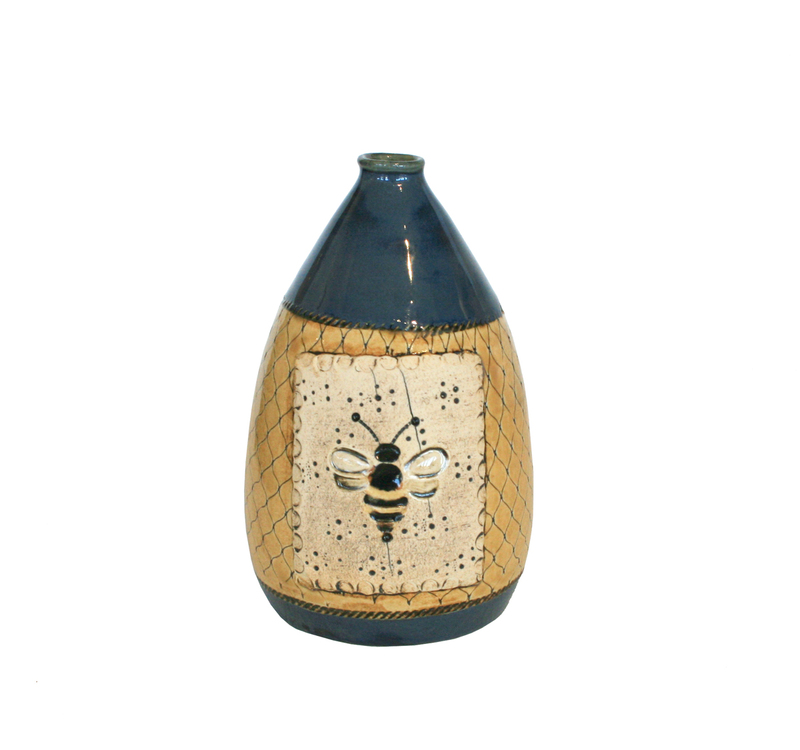 Her signature soft glazes, embossed textures and interesting forms are playful additions to any home or office. Lisa’s sophisticated sense of humor comes to life in her sculptural creations that utilize porcelain, concrete, rebar and wire. 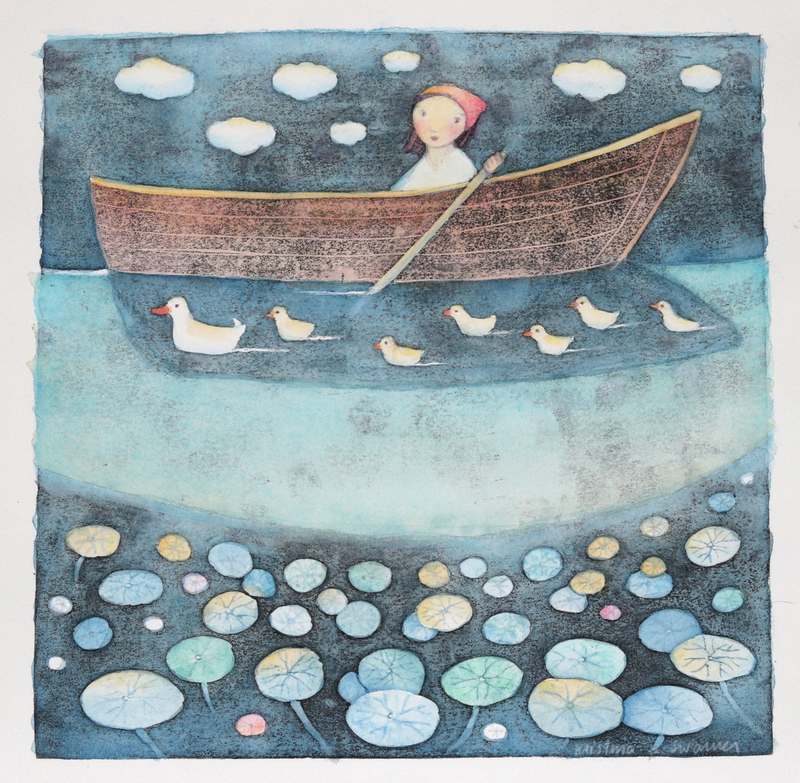 Jennie Milner and her artistry are simply charming! 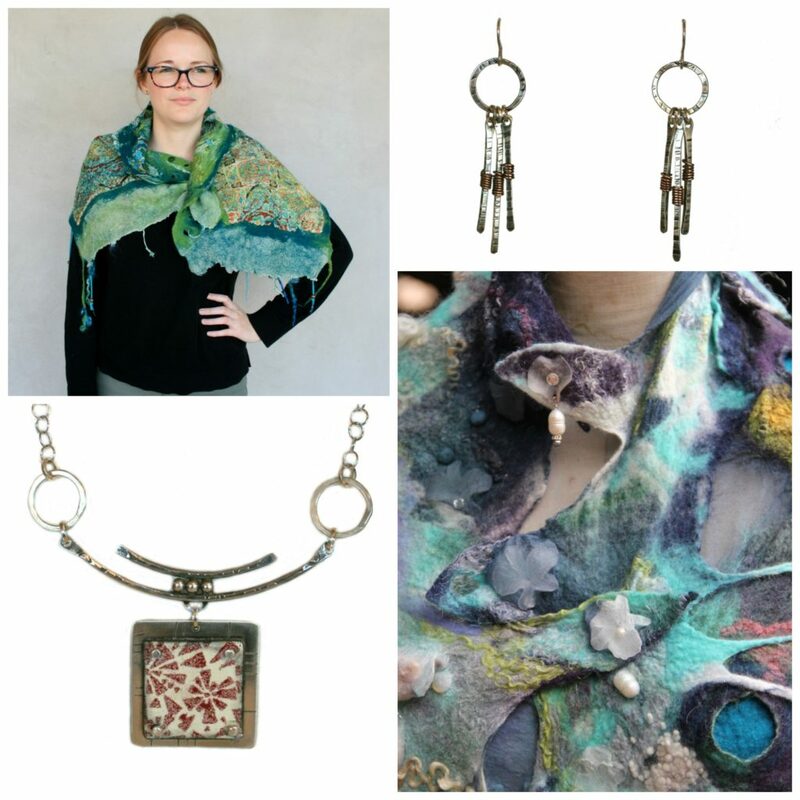 Discover her jewelry made from silver, colorful resin, paint and fabric at our Faire! Jennie’s necklaces, earrings and pins with cheerful houses, birds, trees, coffee cups and flowers feel fun and festive to make any day joyful. 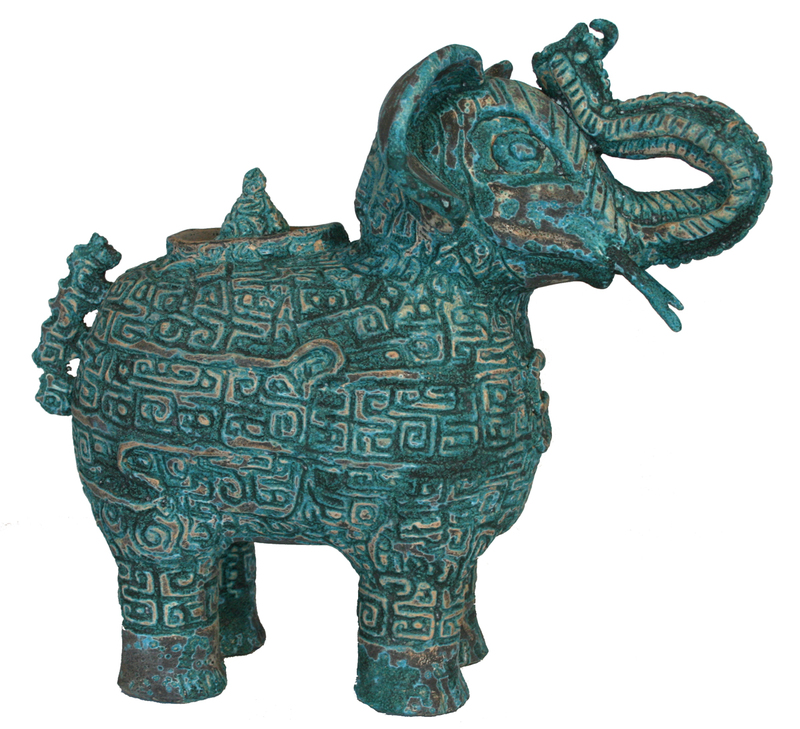 New small-scale wall sculptures are little treasures for your abode. Set on a shelf or hang in a grouping for more impact. 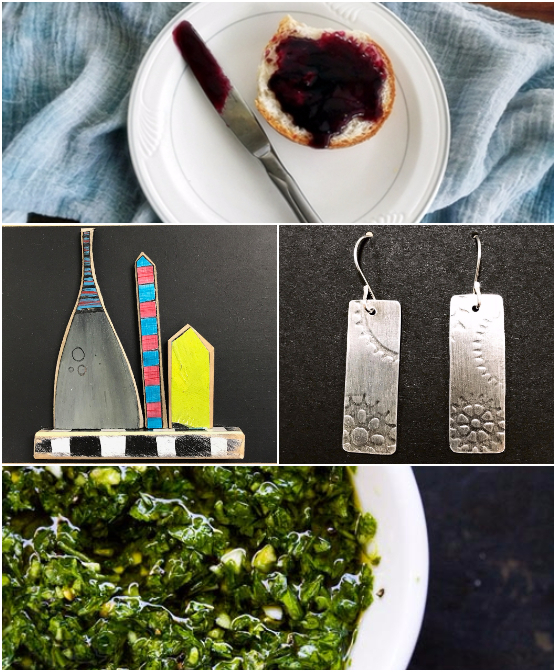 Joining our Holiday Artisan Faire for a third time on December 3rd ONLY is Sola Foods and their delicious jam, chutney, pesto and more! “Jam-packed” with fresh fruits and full of flavors that are sure to be the perfect complement to your holiday and everyday table, you won’t want to miss seeing Julia to stock up on her flavorful fare! 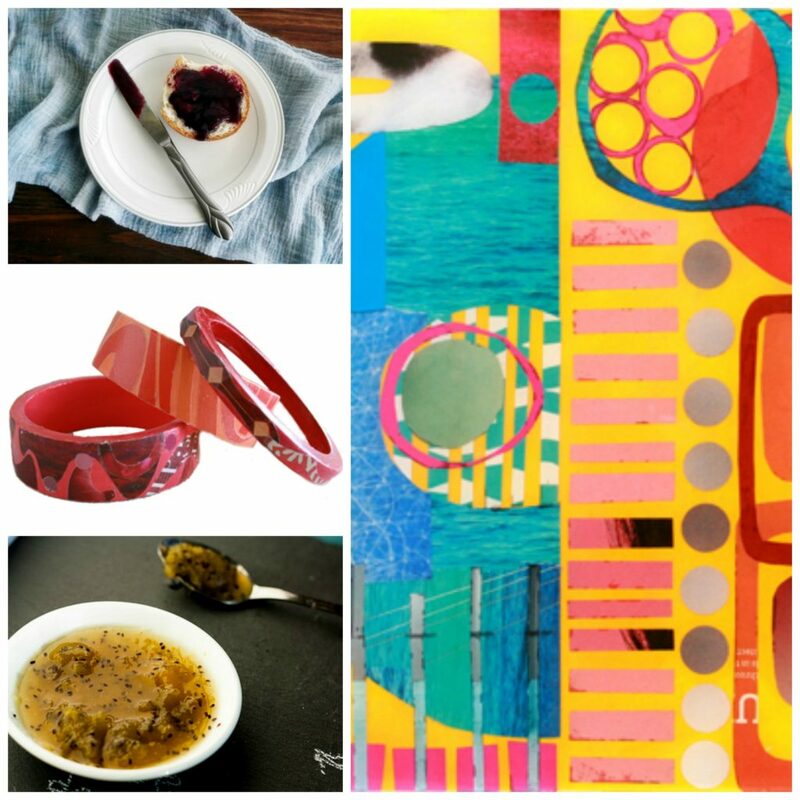 Colorful shapes and patterns abound in Suzanne Currie‘s vibrant mixed media artwork. Set under resin for a glossy finish, every collage speaks with personality and character! Psst! 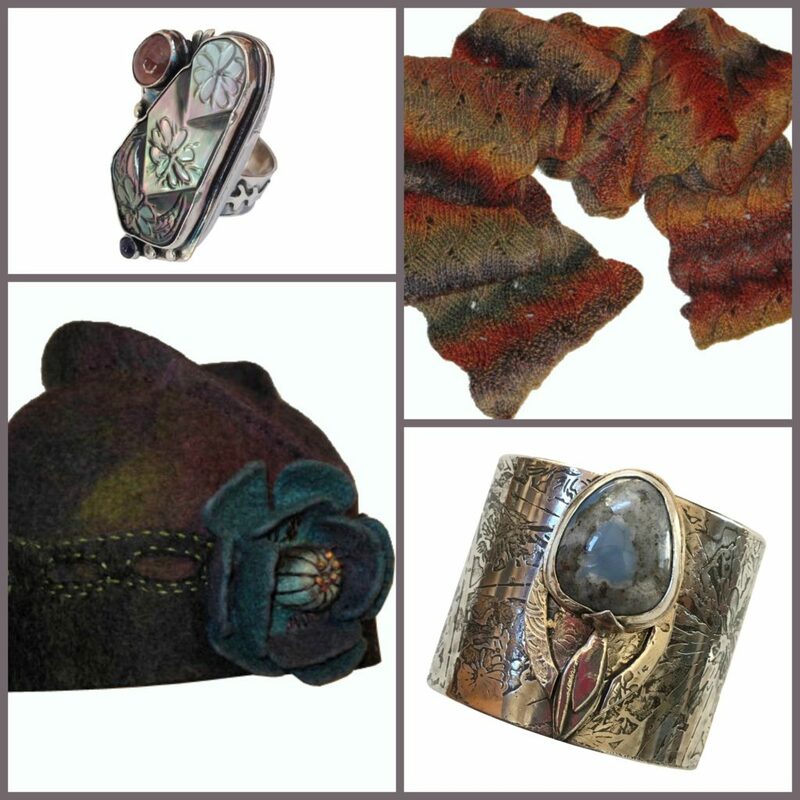 We also hear that Suzanne is working on a multitude of collage, resin and fabric jewelry pieces to share with you during the Faire. 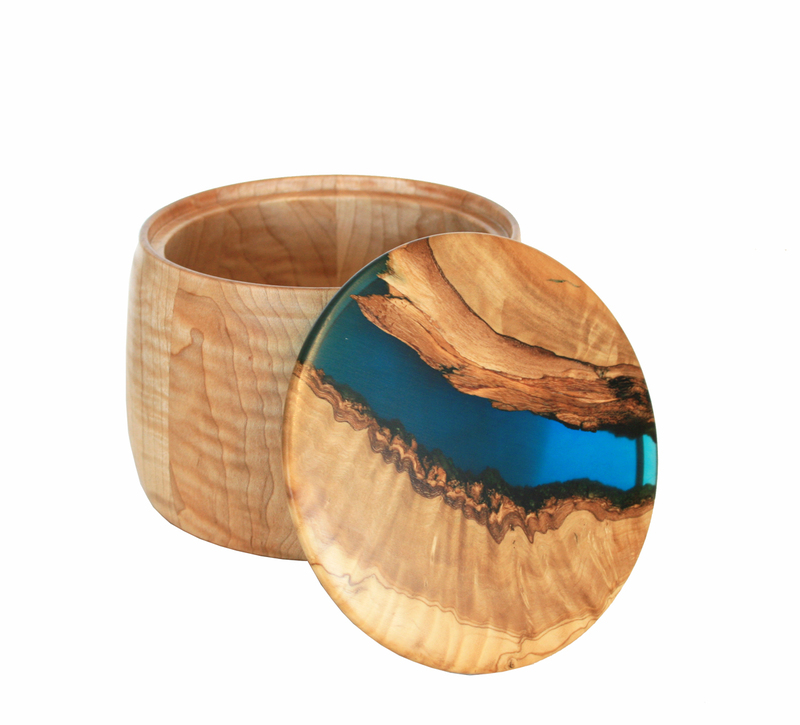 With us for the first time is local wood turner, Bill Bahret! A member of the Orange County Woodcarvers Association, Bill’s lifelong passion has been discovering ways to make a thing of beauty with his lathe. His bowls and vases shine with personality. 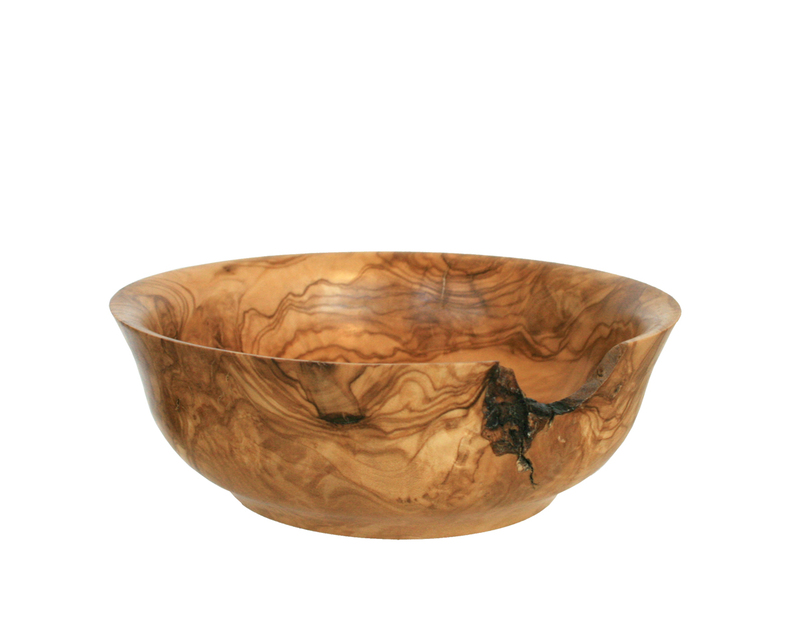 Bill doesn’t shy away from imperfections in the wood grain; instead he greets each potential flaw as a chance to create an item of sheer allure. 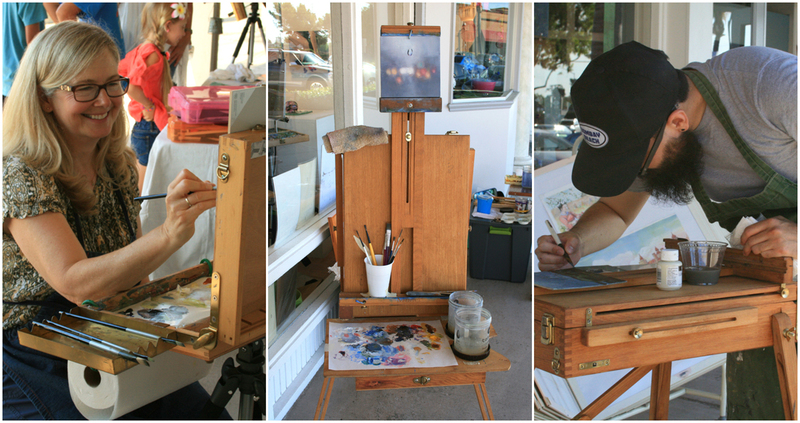 He patiently works to bring every piece of wood to life, whether it’s maple burl (his favorite! ), redwood, plum or myrtle. 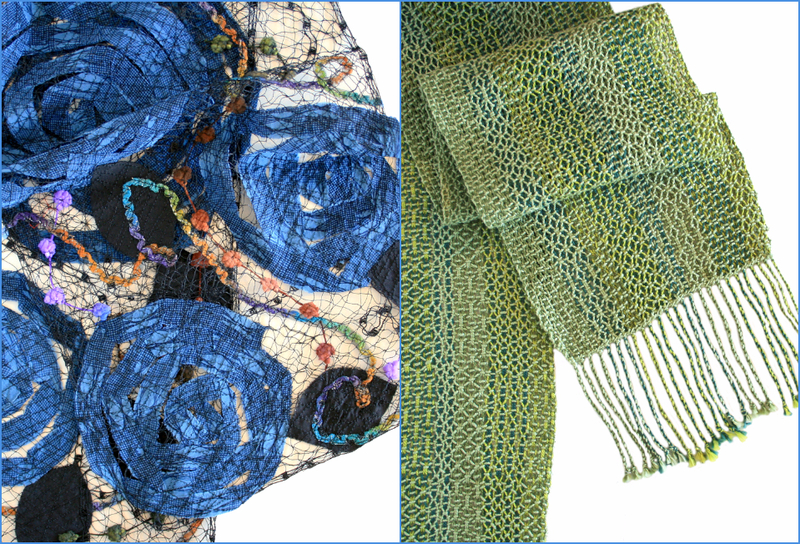 Award-winning weaver Susan Horton creates striking scarves, shawls and handbags out of luscious fibers. 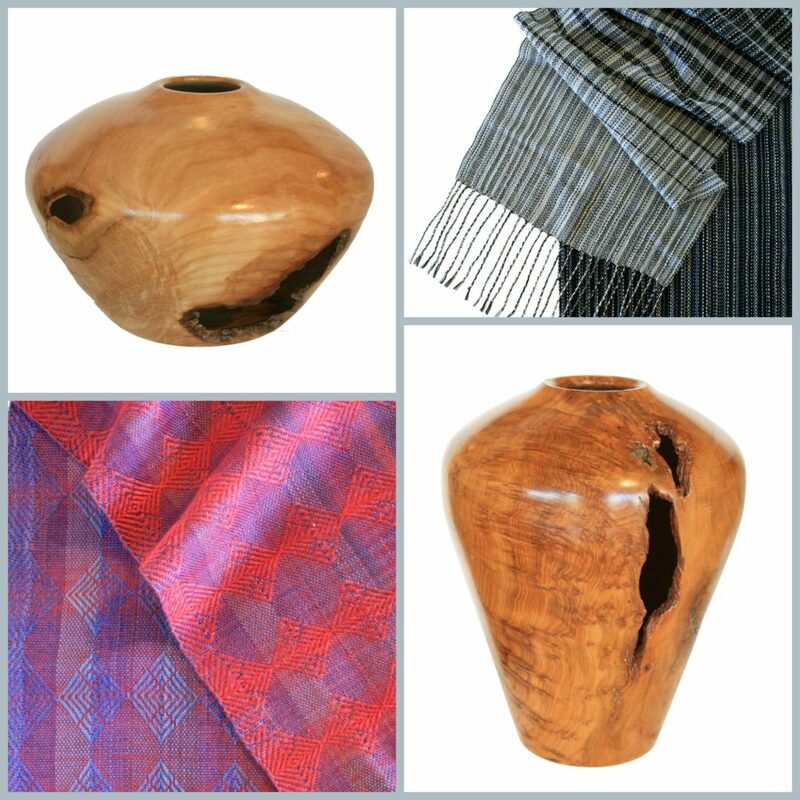 Woven from silk, cotton, tencel, linen and wool, Susan’s multi-hued textiles shimmer with life and undulate with pattern. Her unique scarves subtly change color from one side to the other. Choose one or more for friends and family, maybe even yourself! Hooray! 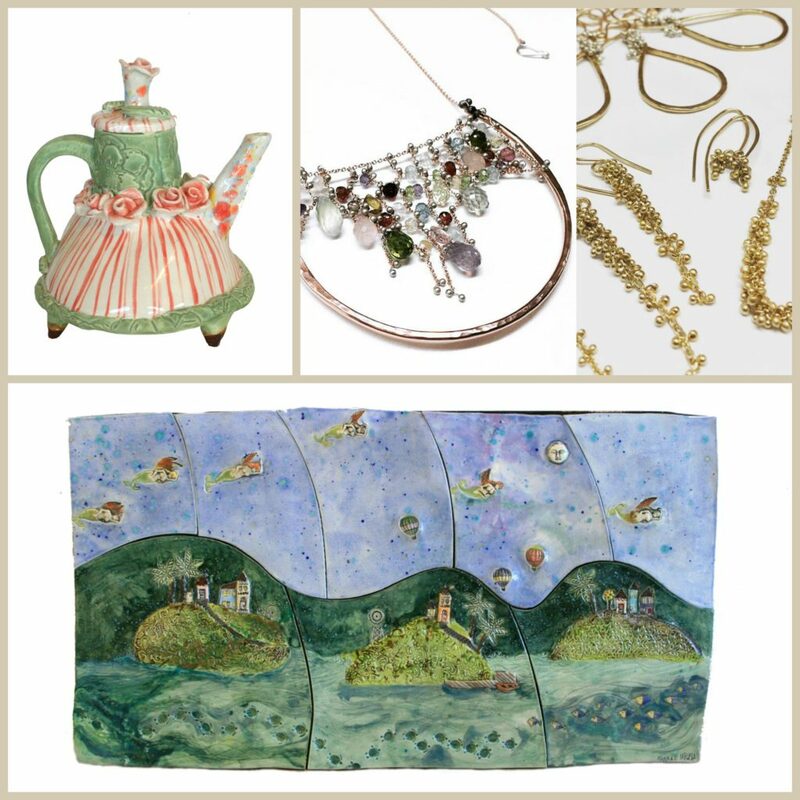 Elizabeth Nadler is visiting us once again for our Holiday Artisan Faire! This ever-popular jewelry artisan will be wowing us with her affordable range of necklaces, earrings and bracelets. With styles ranging from Victorian to boho and featuring sparking crystals, pearls and gems, you’re sure to find just the right trinket for everyone on your list. Bring festive flavors to your holiday table with Bistro Blends! 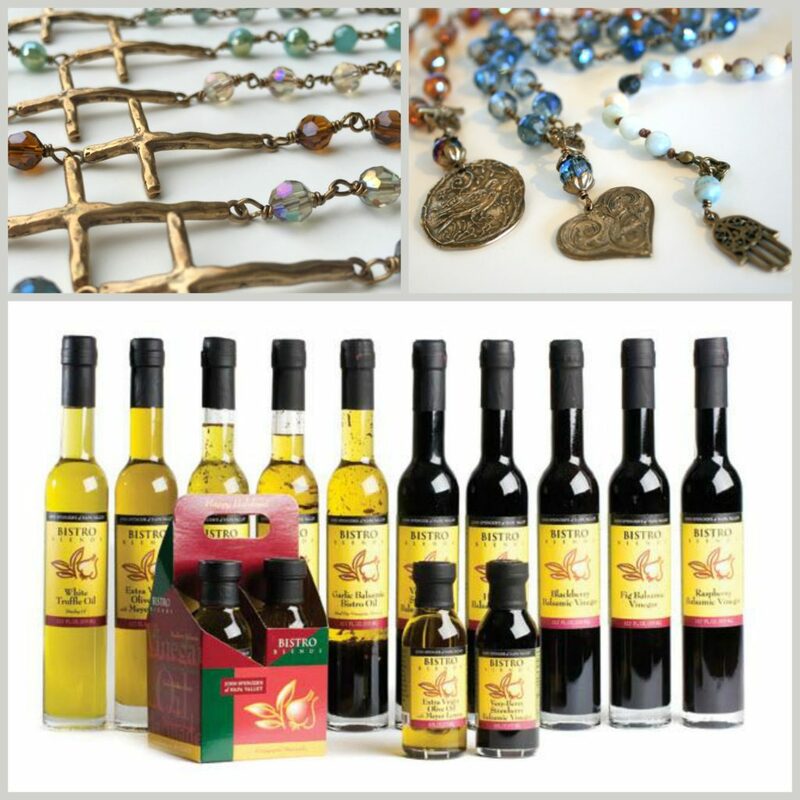 The finest ingredients are used in every bottle of balsamic vinegar and infused olive oil blends from around the world. 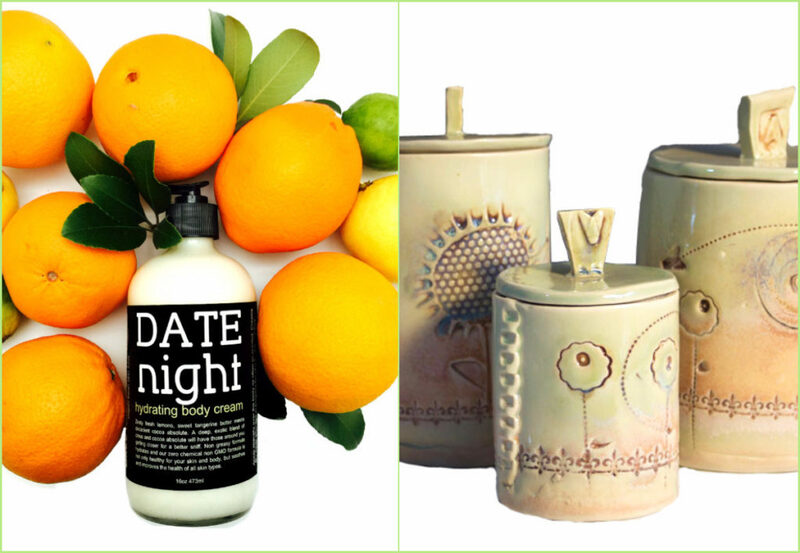 Choose one or many for your hostess gifts and for yourself to keep all year round. Bistro Blends is the perfect complement to your salads, pastas and breads. 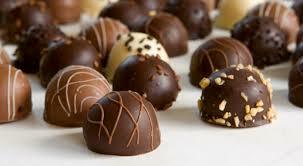 Your taste buds will pop once you sample their wares at our Faire! 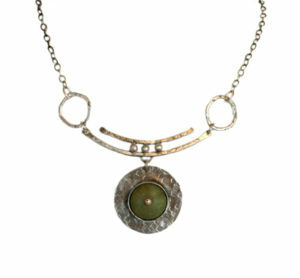 You’re sure to love Michelene Berkey’s “twiggy” jewelry creations! Taking inspiration from the nature that surrounds her home in Colorado, Michelene’s gold, silver, pearl and gemstone adornments twinkle like the stars & sparkle like the sun. Using twigs and tree bark cast in sterling and gold, her brooches, bracelets, earrings and pendants are organically exquisite. Come find your new favorite treasure December 3rd and 4th! You will be in awe of James Keniston’s architectural notecards and original drawings! How does he draw so small and precisely?! This British transplant works on a small scale for a big impact. Inspired by the unique homes of San Francisco and the buildings of his native London, England, James creates his intricate illustrations with pen & ink, adding bright hues with a mix of watercolor and colored pencil. Buy cards one-by-one or as a boxed set to spread some cheer for the holidays or throughout the year. James will also have a selection of his original drawings for the Anglophiles and Golden Gaters amongst you! Wearing one of Lori Lawson’s fiber creations is like sitting by the fire with a cup of hot cocoa! Or, if you prefer, a hot toddy! Her lush fiber creations are stylish yet cozy. 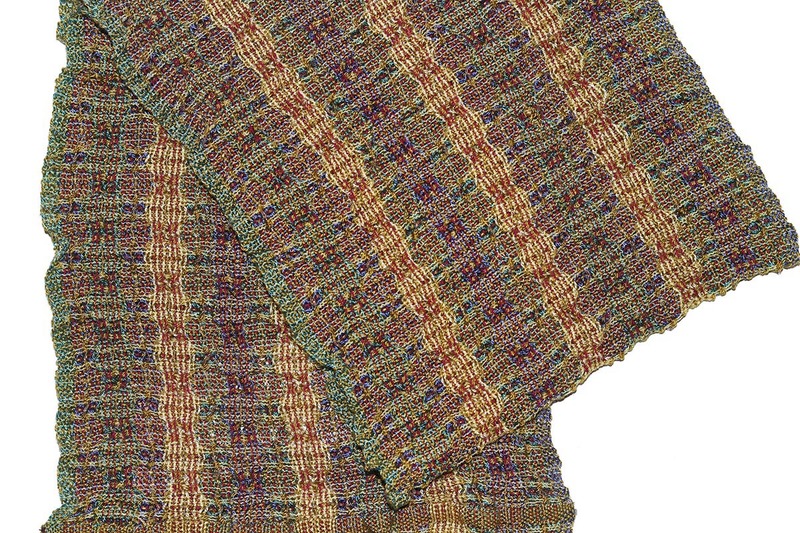 Lori’s hand-knit, woven and felted scarves, hats and shawls are warm and inviting, just like Lori herself. Soft fibers of merino and polwarth wool, llama and angora lend an elegant touch to Lori’s beautiful handicrafts. 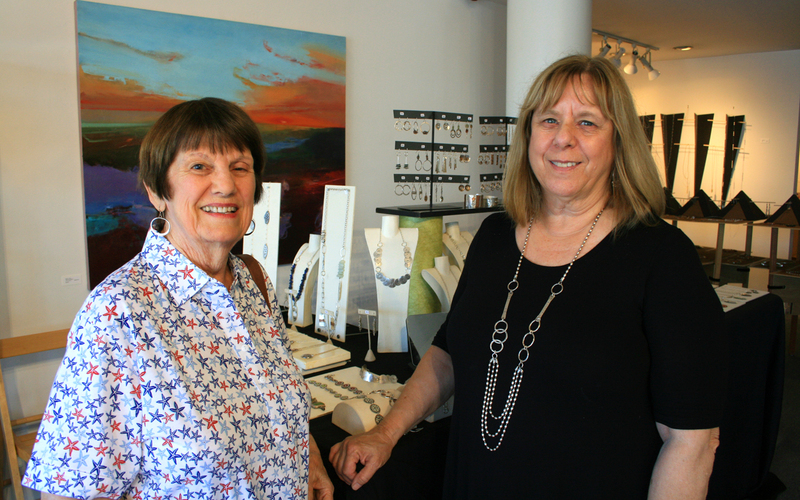 Local artist Monique Selwitz uses shimmering silver, glistening gold, gleaming gemstones and more to achieve her one-of-a-kind jewelry creations. Her inventive spirit shines like the materials she favors. From organic forms to more structural shapes, her rings, necklaces, cuffs and earrings are sure to be a hit at the holidays and all days! Tell us you’re coming SUNDAY, DEC 4 & reply to our Facebook event HERE. This entry was posted in art gallery orange county, art gallery tustin, book singing, chemers gallery, chemers gallery tustin, fashion, glass, holiday artisan faire, jewelry, local art, local artist, local artwork, new art, orange county art, orange county artists, Upcoming Events and tagged art gallery orange county, art gallery tustin, art glass, artisan chocolate, artisan wood, artistic fashion, bakelite, balsamic vinegar, beth marx, bill bahret, bistro blends, blown glass, boho jewelry, bright, button jewelry, canadian art glass, ceramic art, ceramic sculpture, ceramics, chemers gallery, chemers gallery orange county, chemers gallery tustin, chocolate, christmas candy, christmas ornament, colorful, contemporary silver jewelry, elizabeth nadler, elizabeth nadler jewelry, enamel, fashion, fashion accessory, felting, free event, garment, gemstone, gift giving, glass ornament, glass paperweight, glassblower, gourmet chocolate, hanukkah candy, holiday artisan faire, holiday event, holiday gift, holiday gifts, holiday shopping, homemade jam, jc milner, jc milner metalworks, jennie milner, jennie milner metalworks, joanna craft, lisa mertins, lisa mertins ceramic, local artist, luisa chocolatiere, maria counts, maria counts ceramics, merry wennerberg, mixed media, mixed metal, naomi campos, nuno felt, olive oil, resin, robert held, robert held art glass, scarf, seamless nuno felting, shawl, sola foods, spirited muse, spirited muse jewelry, statement jewelry, sterling, sterling beads, studio 907, susan horton, susan horton fiber, susan horton textiles, susan horton weaving, suzanne currie, suzanne currie mixed media, the button box, turned wood, upcoming event, vase, vintage buttons, wall sculpture, wearable fiber, whimsical, whimsical ceramics, wood art, woven scarf, woven shawl, yed omi, yed omi jewelry on November 7, 2016 by Chemers. Keep checking our Facebook Page for more pictures of this fantastic event! We’ll also be publishing the recipe for our signature cocktail, “Diamonds in the Rough,” for you to share and enjoy at home! Details to be announced soon! This entry was posted in art gallery orange county, art gallery tustin, chemers gallery, chemers gallery tustin, jewelry, local art, local artist, local artwork, new art, Uncategorized and tagged artisan made, boho jewelry, chemers gallery, chemers gallery event, chemers gallery tustin, contemporary jewelry, elizabeth nadler, elizabeth nadler jewelry, event, fiber show, free event, hand weaving, handmade, holiday artisan faire, jewelry show, jewelry trunk show, joanna craft, joanna craft jewelry, laurette oneil, laurette oneil jewelry, local art, local artisan, local artist, local designer, michelene berkey, michelene berkey jewelry, modern jewelry, orange county, silver jewelry, spirited muse, spirited muse jewelry, susan horton, susan horton fiber, susan horton textiles, woven fiber, woven scarf on August 23, 2016 by Chemers. 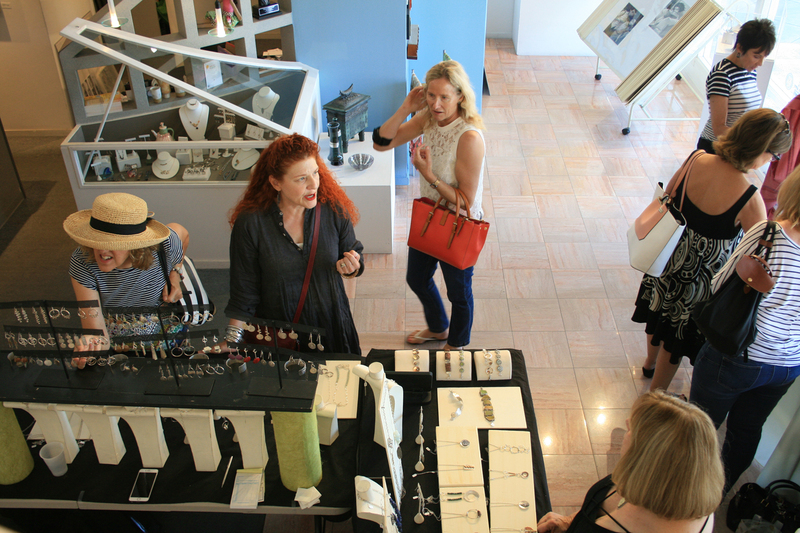 Q: What Could be Better than a 1-day Jewelry Trunk Show? 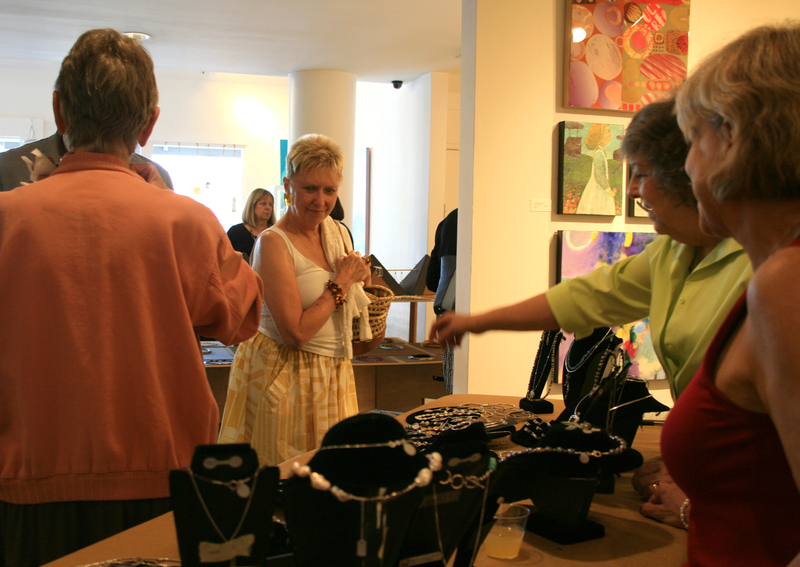 A: 2 days of jewelry, fiber art and libations! Here’s a teaser to introduce you to the artists joining us. But, remember, they will all be bringing their huge collections to share with you. 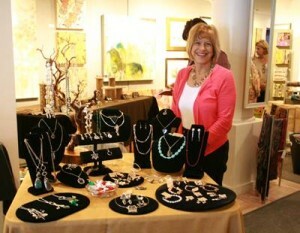 Twiggy trinkets, polished pearls and gemstones galore make up Michelene’s selection of silver jewelry. 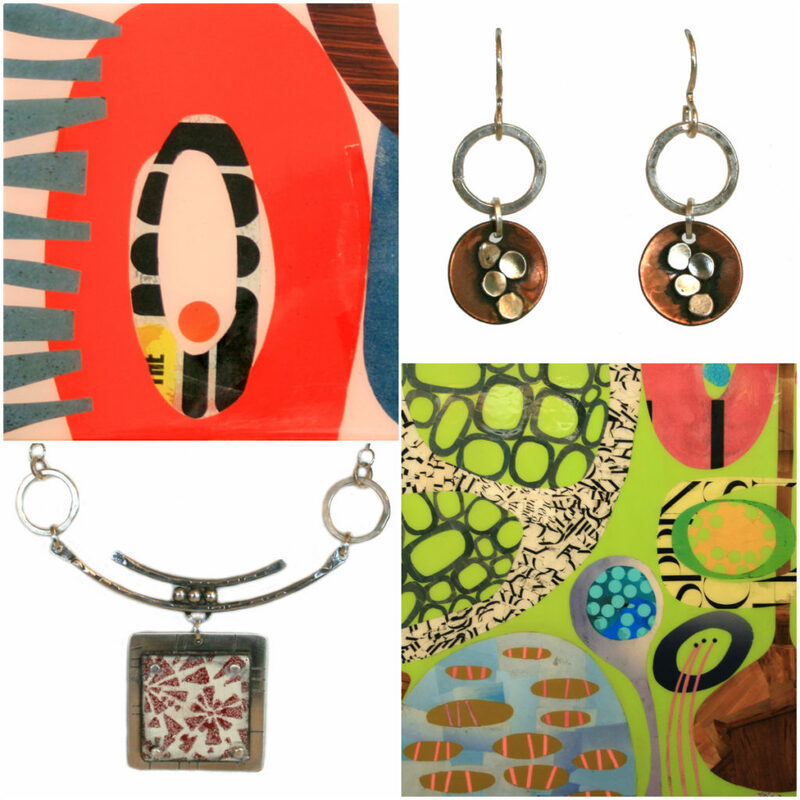 At once refined and playful, her creative spirit shines through in every piece. 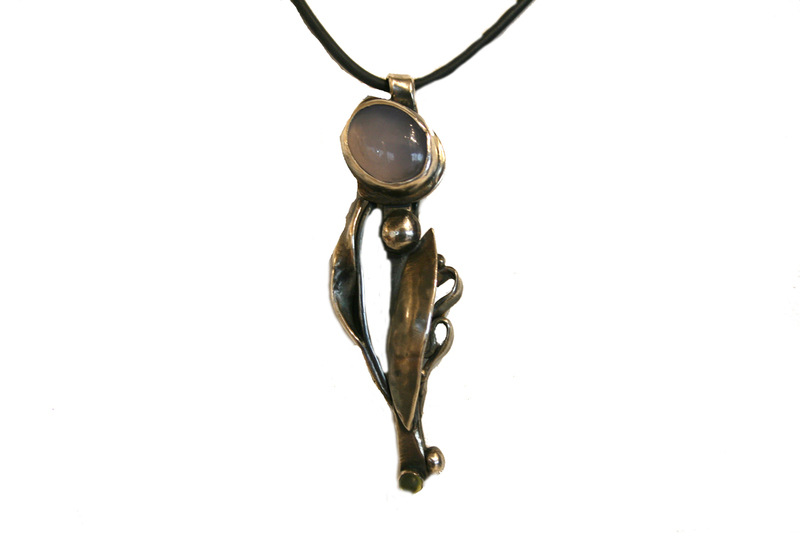 Twigs and bark from bristlecone pine trees are cast in sterling silver to form pendants, rings, earrings and more. 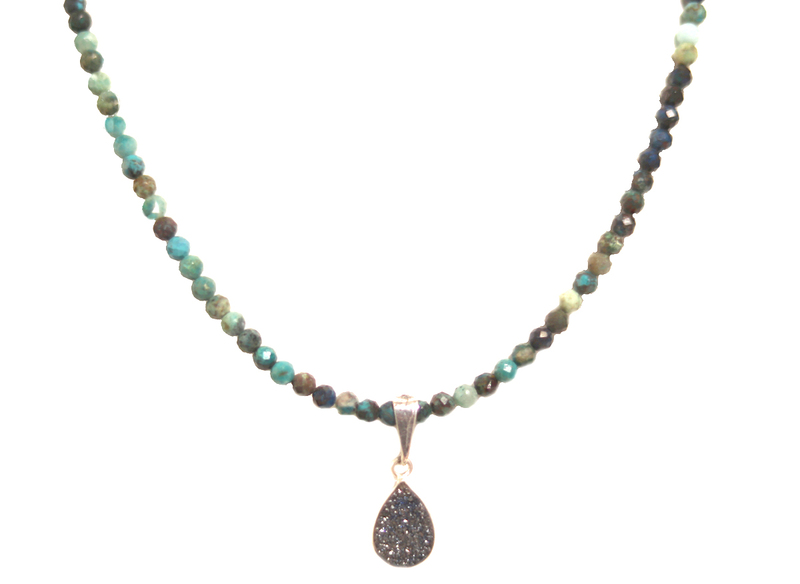 Gems and pearls are strung on wires or set in gold or silver to add a special little some’n some’n to your baubles. Of late, she is using more & more solid gold in her upscale design work. Michelene’s creativity knows no bounds! 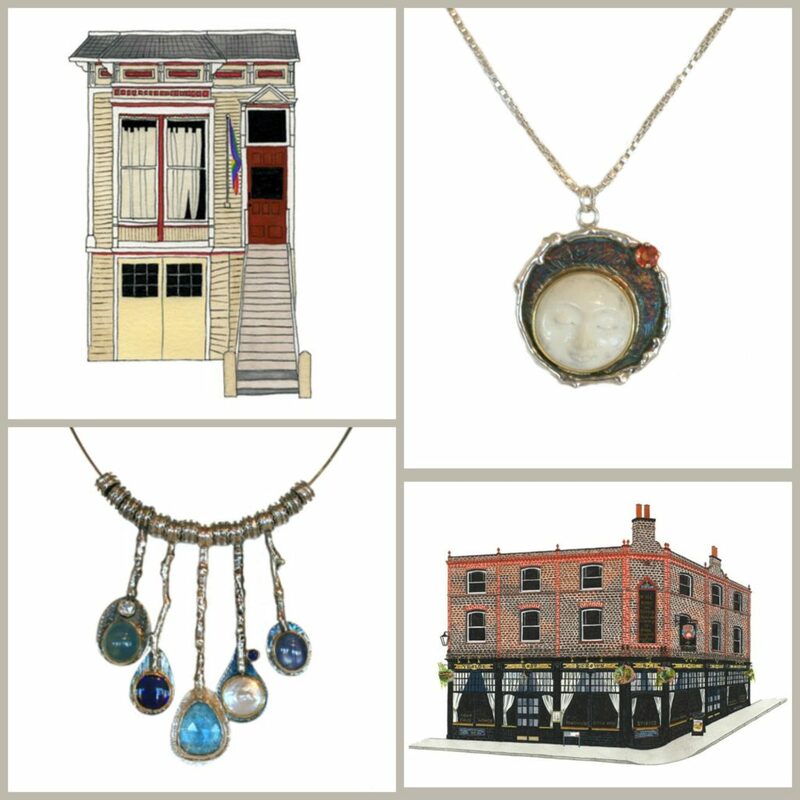 If you’re searching for mixed metals, unique raw gemstones and enameling to compliment your look, try Joanna’s stylish range of trimmings! This local artist makes jewelry with a modern flair that carries a slightly Asian influence. Many of her statement pieces are one-of-a-kind and feature stunning stones or glistening glass. 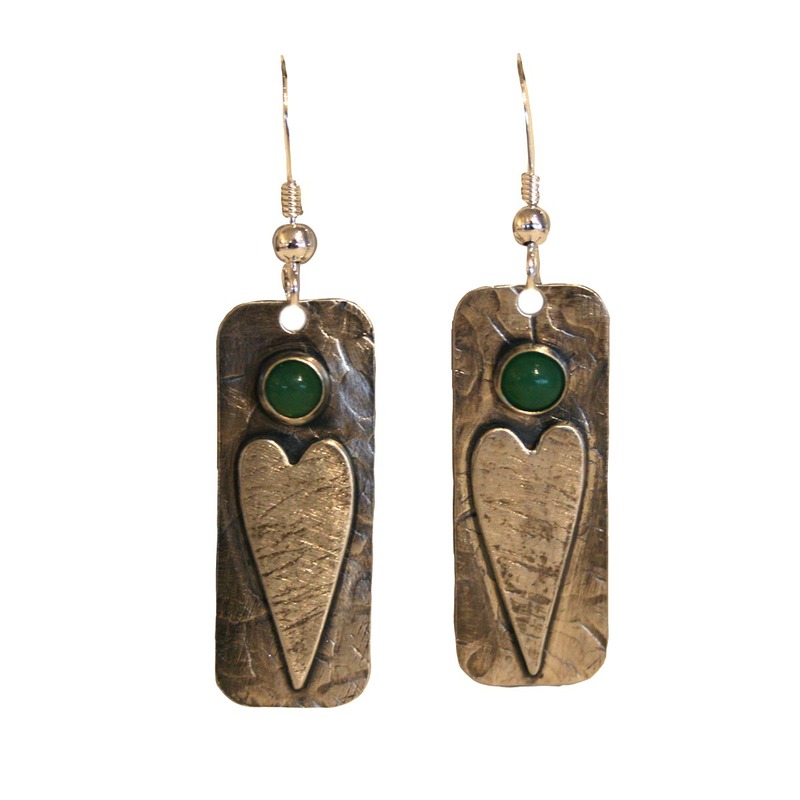 Joanna hand-hammers her metals to create texture and movement. Whether it’s a pair of petite every day earrings or a brightly enameled necklace, Joanna is always pushing the envelope to make new & unique designs for you. 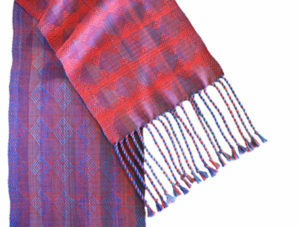 Joining us on Saturday only, Susan’s hand-woven scarves and handbags are a delight to the senses! Full of intricate pattern and colors that shift and change before your eyes, every design is spectacular. Susan has won awards for her unique woven skills and it’s not difficult to see why! Scarves made from silk, cotton, chenille and wool are not only pleasing to look at, they’re also soft to the touch and snugly to wear. 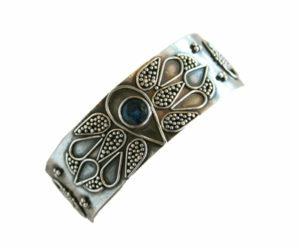 Fine silver, gold and semi-precious gemstones feature in Barbara’s exquisite cuff bracelets, necklaces and earrings. This talented designer has learned her craft from master metalsmiths and jewelers the world over. 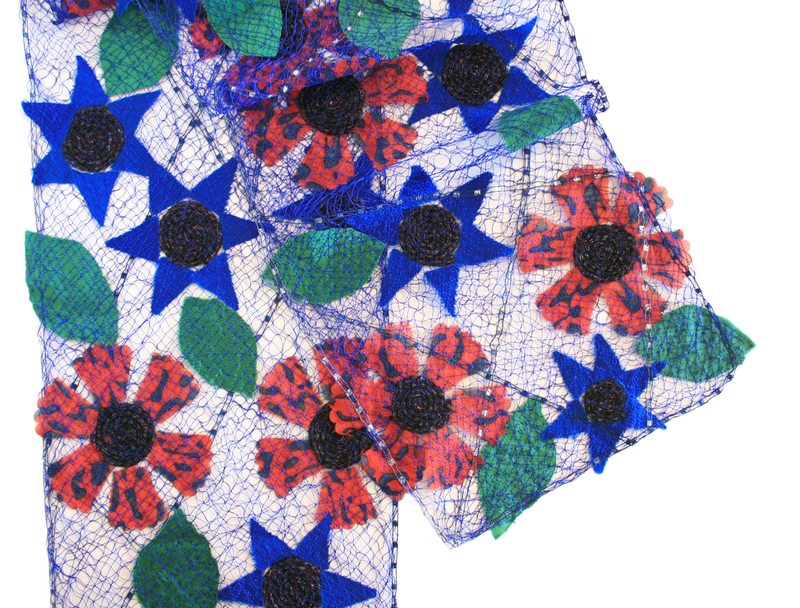 Constantly pushing herself to try something new, Barbara takes inspiration from cultures of the past, such as Byzantine woven wire chains or Etruscan granulation and fusing techniques in her intricate surface decoration. In recent creations, Barbara plays with lightness and darkness, leaving bright silver in some areas while oxidizing others into shadow. We can’t wait to see what she has envisioned for our show! 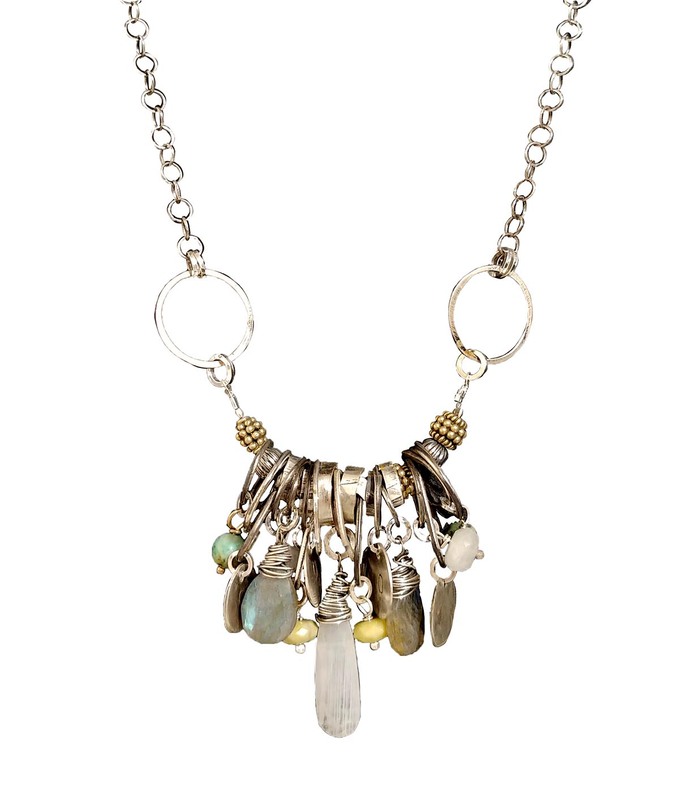 Add some boho bling to your wardrobe with Betty’s gold-fill, silver, crystal, quartz and stone creations! 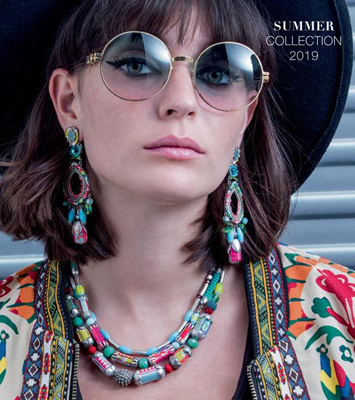 Her range of necklaces, earrings and bracelets are perfect to layer together or wear alone to create a look that is as complex or as understated as you desire. 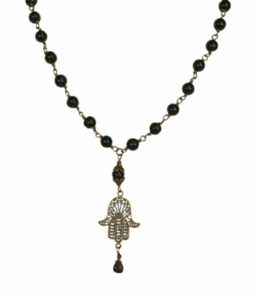 Charms shaped like birds, hearts, feathers, hamsas, crosses, etc. 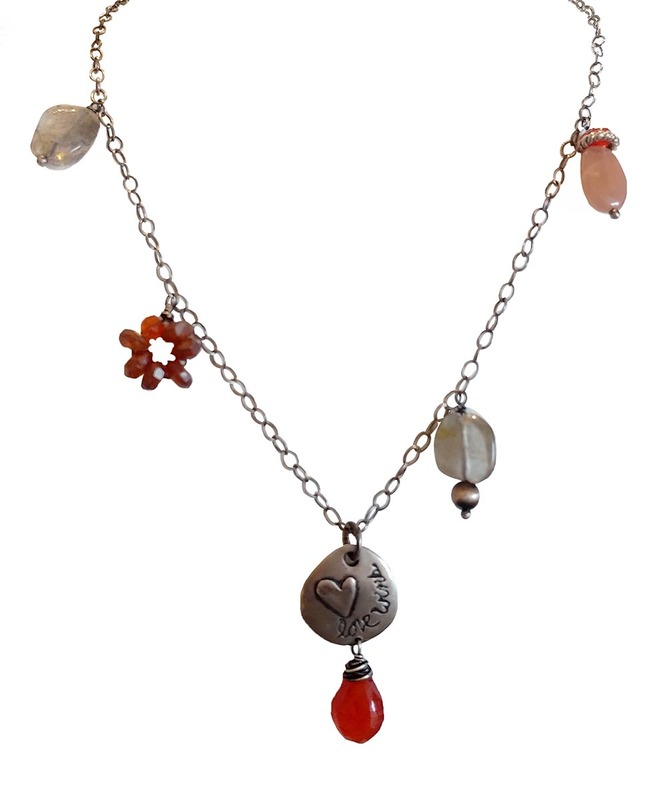 pair with colorful crystals, glass beads and natural stones like garnet and agate for a look that is oh-so-stylish. Betty’s baubles span the spectrum of style, and with prices mostly between $25 – $75 you can’t go wrong! Joining us for the first time (yay!) 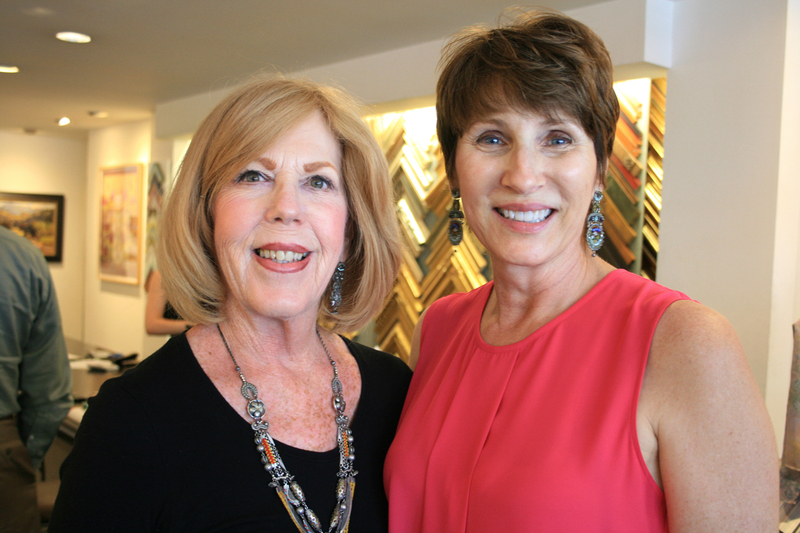 all the way from Nevada, Laurette’s jewelry creations are modern architectural bliss. 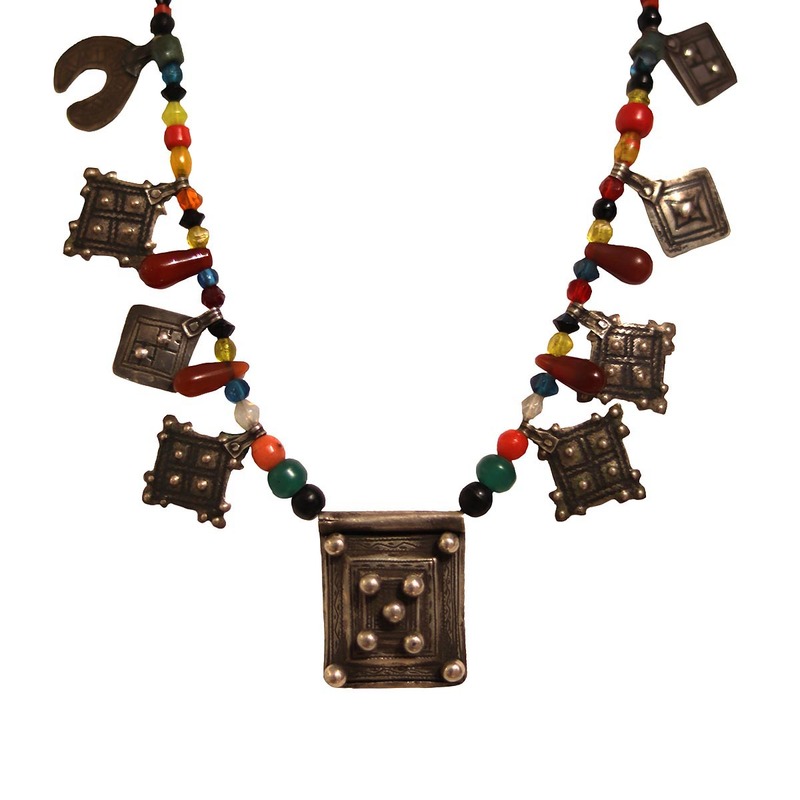 Favored materials include sterling silver, pearls, wood, stone, lava & coral. Laurette even makes all of her tiny sterling tube beads herself, putting the “hand” into “handmade!” Modern and edgy, Laurette’s jewelry creates a statement that complements every day wear and tops off your special occasion ensemble. 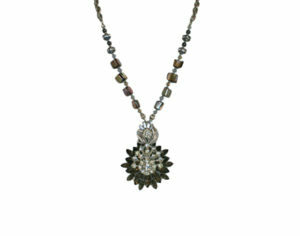 If vintage treasures and all that sparkles makes you tingle, you’ll love Carolyn’s necklaces! 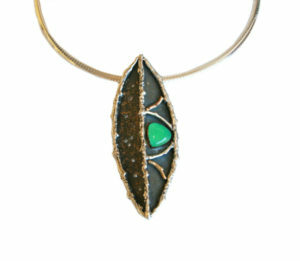 Using components that span the decades, Carolyn deftly creates one-of-a-kind adornments that are as unique as you are. French shoe buckles from the 1920’s find homes alongside brooches from the 1950’s and chain from the 1970’s. 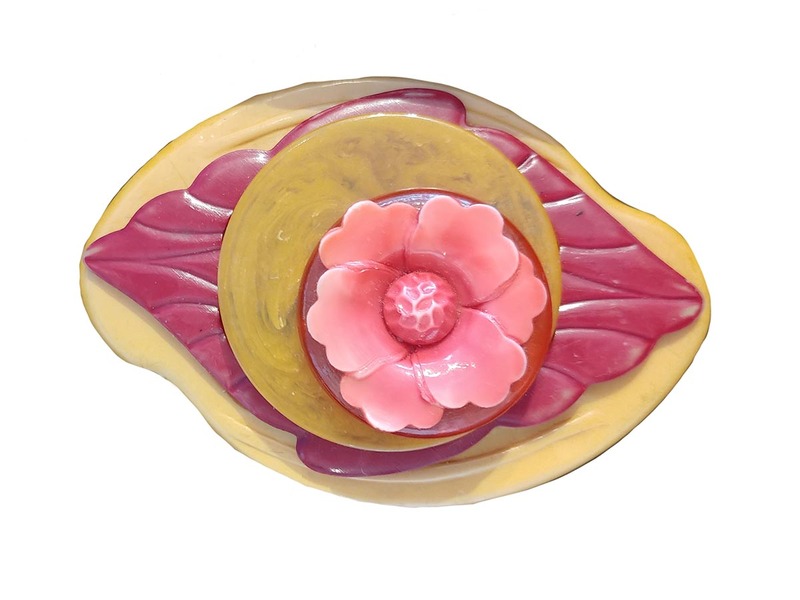 Glass beads, Mother-of-Pearl and agate slices are repurposed into show-stopping ornamentation. 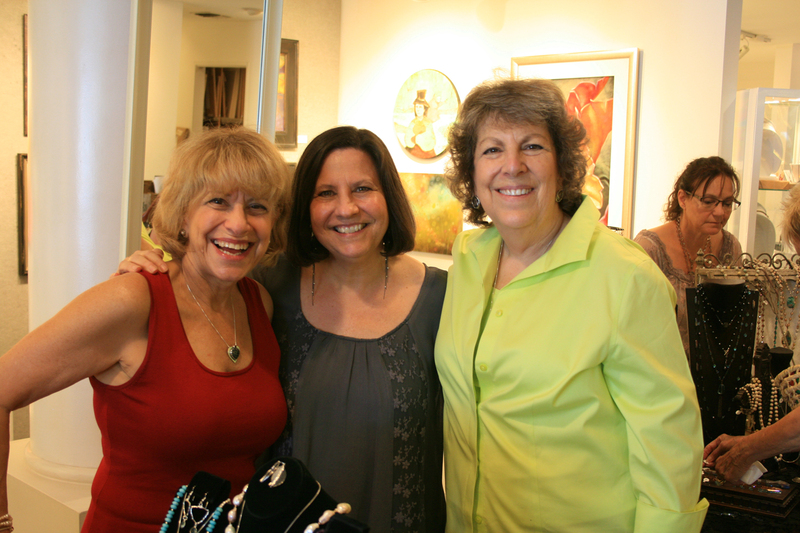 Carolyn will even custom create heirloom jewelry made from your personal family treasures. 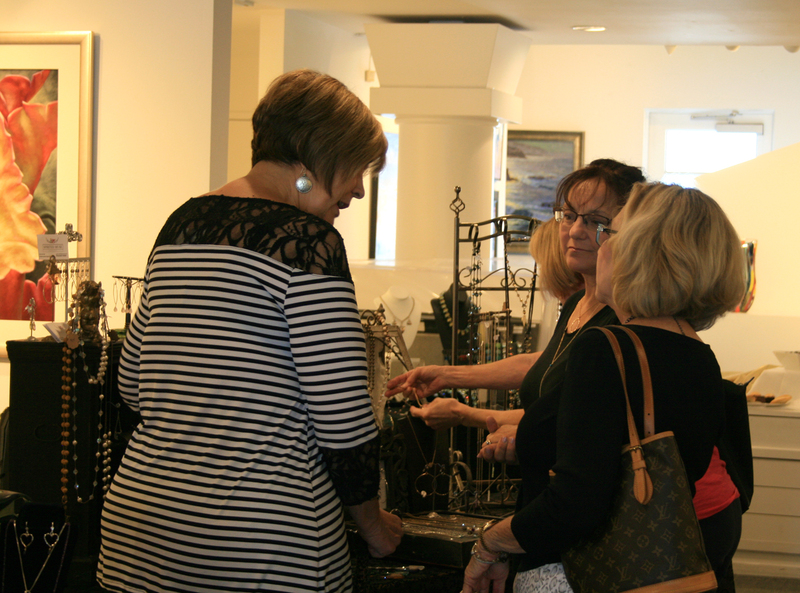 So bring them to our trunk show to discuss the endless possibilities with Carolyn. Now is a great time to find your next treasure or – dare we even say it?! 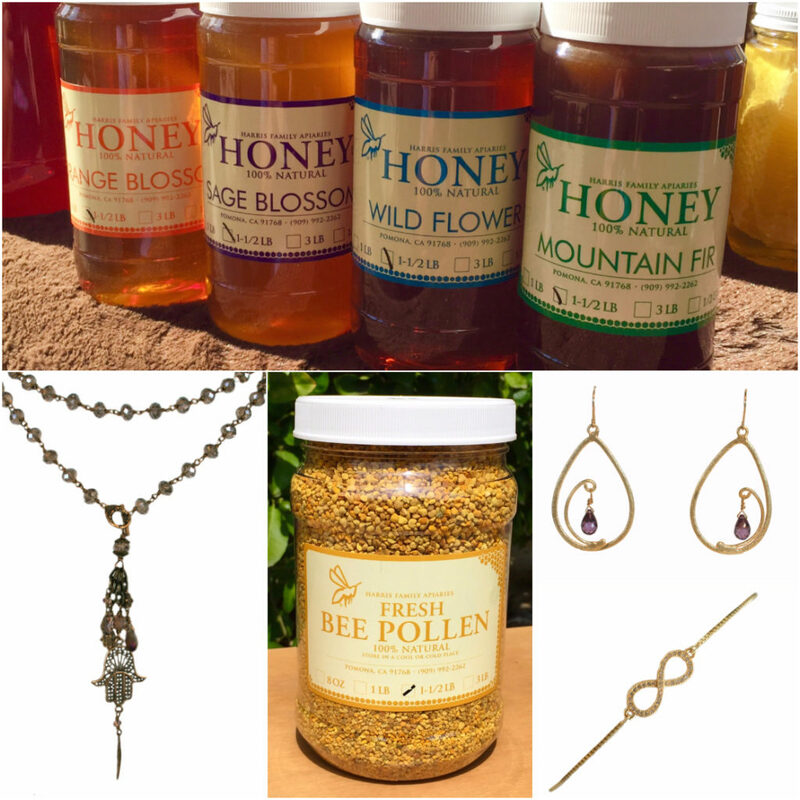 – get a jump on your holiday shopping! So grab your friends and make a day or two of it! This entry was posted in art gallery orange county, art gallery tustin, chemers gallery, chemers gallery tustin, holiday artisan faire, jewelry, local art, local artist, local artwork, new art, orange county art, orange county artists, Uncategorized, Upcoming Events and tagged accessories, art gallery, art gallery newport beach, art gallery orange county, barbara lanci, barbara lanci jewelry, boho jewelry, carolyn van hosen, carolyn van hosen jewelry, chemers gallery, chemers gallery orange county, chemers gallery tustin, contemporary jewelry, elizabeth nadler, elizabeth nadler jewelry, enderle center, fine silver, gemstone, handbags, jewelry show, jewelry trunk show, joanna craft, joanna craft jewelry, laurette o'neil jewerly, laurette oneil, michelene berkey, michelene berkey jewelry, modern jewelry, new art, new jewelry, new textile, scarves, silver, spirited muse, spirited muse jewelry, susan horton, susan horton textiles, susan horton weaving, textile, vintage jewelry on August 9, 2016 by Chemers. Sparkle and Shine with us December 5th! Save the date for our biggest event of the year! 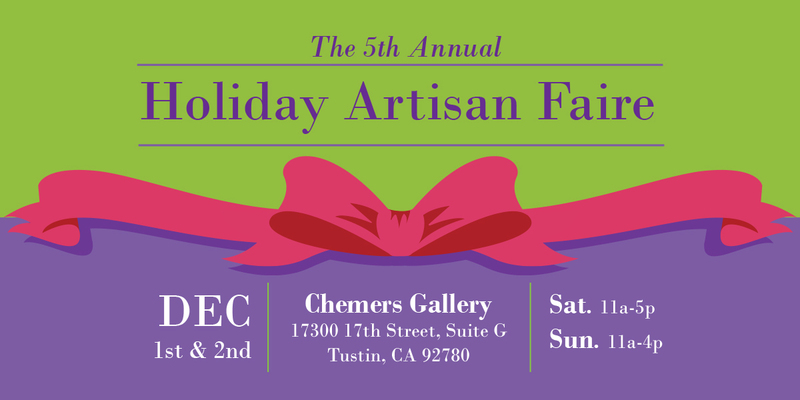 Chemers Gallery’s 2nd Annual Holiday Artisan Faire! 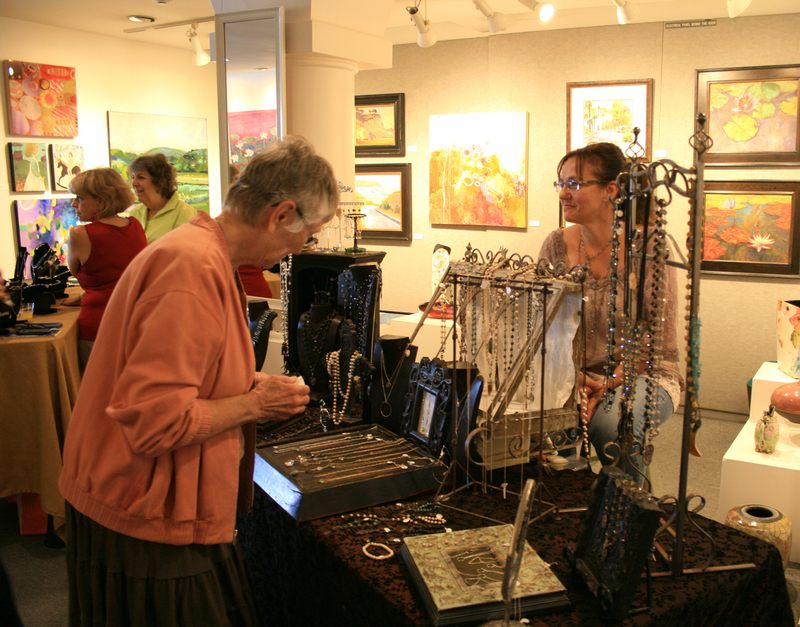 With 16 artists, artisans and gourmands confirmed and counting, this is sure to be an event you won’t want to miss! 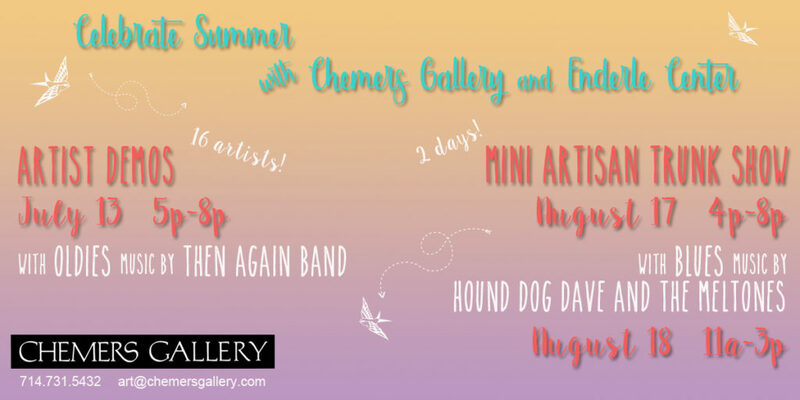 Watch this space for updates including artist profiles, sneak peeks, new artisans and more! This entry was posted in chemers gallery, chemers gallery tustin, jewelry, Uncategorized, Upcoming Events and tagged ceramics, chemers gallery, chemers gallery holiday, chemers gallery tustin, claudia berman, david van noppen, elizabeth nadler, fiber art, glass, gourmet chocolate, gourmet food, gourmet gift ideas, handcrafted jewelry, handmade holiday, holiday artisan faire, holiday event, holiday gift ideas, holiday gifts, jc milner, joanna craft, lisa mertins, lori lawson, luisa chocolatiere, madstone, mary hammond, michelene berkey, mixed media, monique selwitz, oc art gallery, orange county art, spice merchants, susan horton, suzanne currie, tatratea, wearable fiber on September 29, 2015 by Chemers.